Liz is a third grade teacher at Oak Hill School and has been a teacher for 5 years. She taught 2 years at Kenrose in Williamson County and is in her 3rd year at Oak Hill. She has taught 2nd, 3rd and 4th grade. Some of my other clients have or have had children that have been through her class, and apparently she is THE best teacher out there (which doesn’t surprise me one bit!). I had had her in classes before I started working with her one on one, but I never really knew just how much this gal was capable of. When I first started working with her I was BLOWN AWAY at her strength and endurance. She wanted to go heavier, do the workout to perfection and asked for me to bring it. I did, and I have, and I still find myself trying to tweak her workouts to make them challenging enough for this little machine! She now has accomplished this incredible goal of hiking across Europe in 30 days, lost over 10lbs and inches everywhere and she just keeps getting better. For this spotlight I wanted her to showcase her amazing, life-changing journey that she just did. 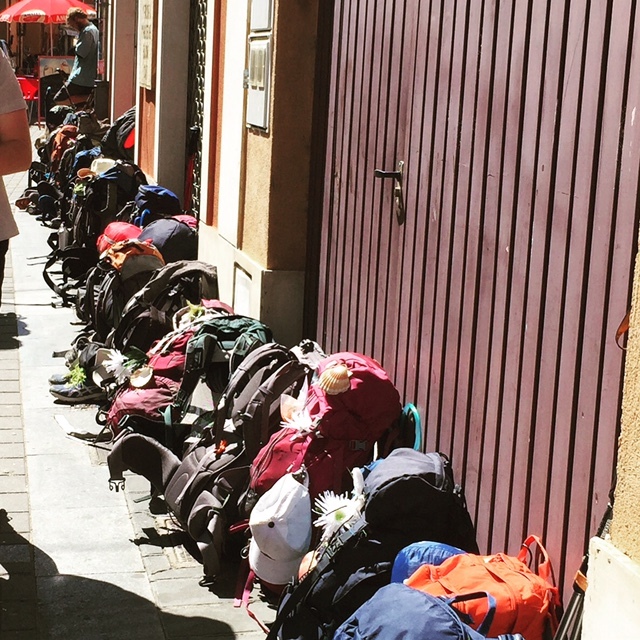 I mean – who can say that they hiked 20 miles a day for 30 days across Europe? Maybe a handful of people, and she is one of them! 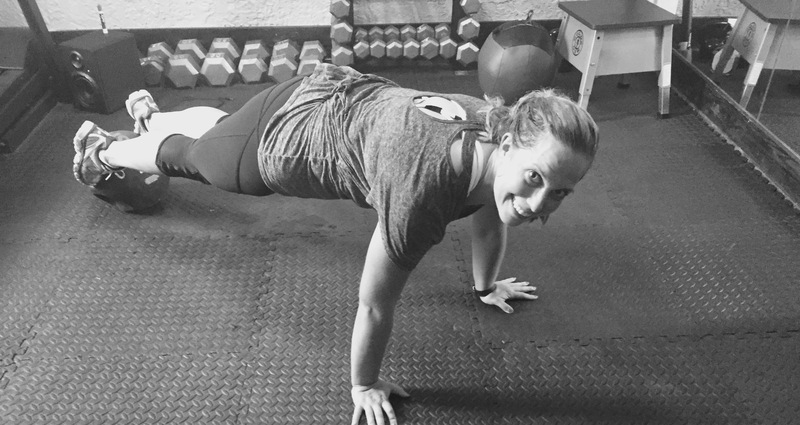 Liz reminds me that training is so much more than lifting weights and running and sweating and eating healthy… it is about enjoying every minute, pushing to new limits, achieving goals, preparing for life changing accomplishments and doing something that you might not have thought was possible… Her story is pretty incredible, and she learned a lot along the way. I hope you will too when you read this amazing woman’s journey. What is the name of the hike you did? Tell us about it, how you discovered it and what made you want to do it? 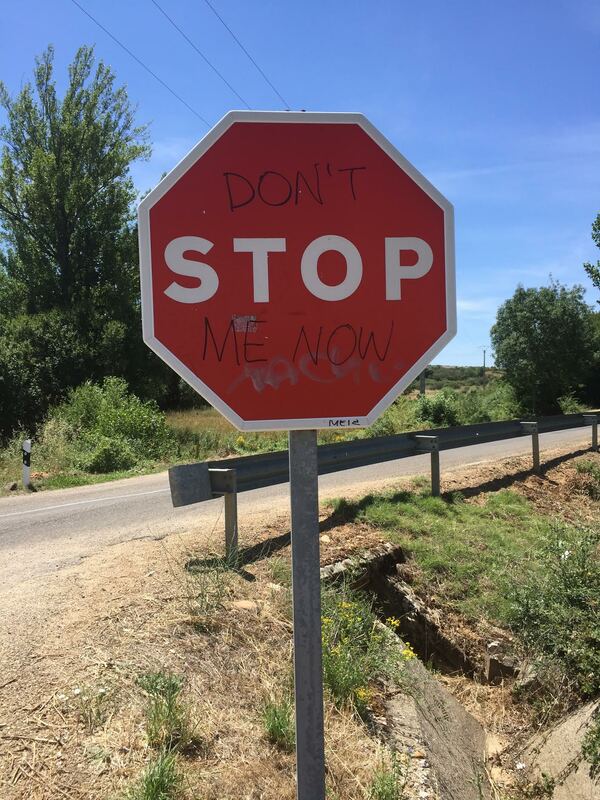 I hiked the Camino Frances. Many people have heard of the Camino de Santiago due to the movie called “The Way” which stars Martin Sheen. The Camino de Santiago, which means “The Way of St. James” in English, is a pilgrimage to Santiago de Compostela, which is the supposed resting place of the apostle James from the Bible. It is one of the three most important Christian pilgrimages in the world. 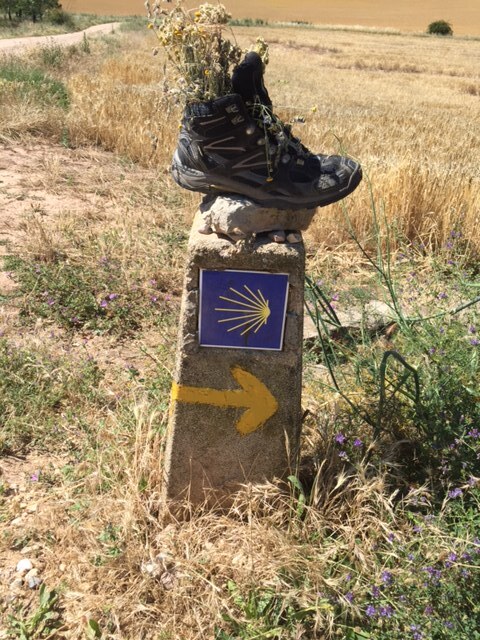 There are many different “caminos” from the Camino Norte to the Camino Portuguese but I chose to hike the most famous and well-known camino, the Camino Frances. 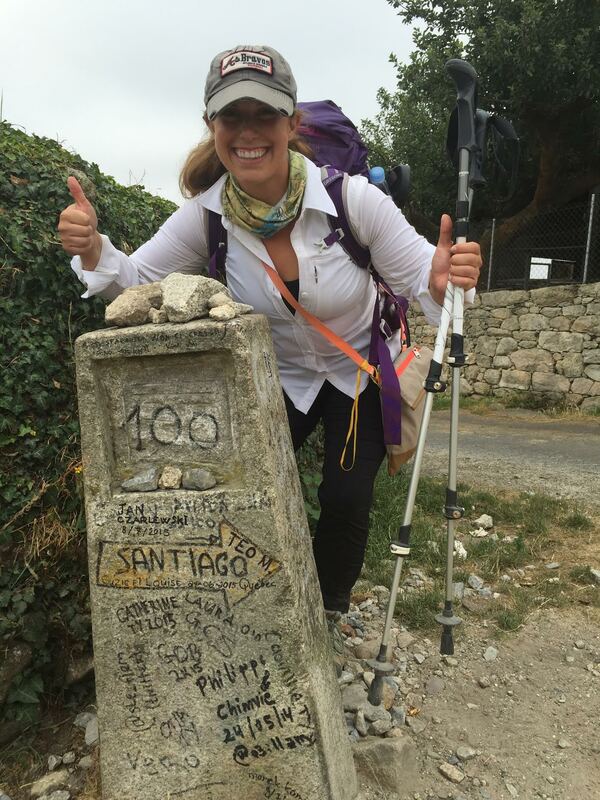 The Camino Frances is a 490 mile (790 km) hike from St. Jean Pied de Port in France to Santiago de Compostela in Spain. I discovered the hike after watching the movie, The Way, with my mom and dad a few years ago. My dad is a traveler and loves new adventures and got on a mission to plan a trip for the two of us to go on a pilgrimage of our own. After researching the hike, my dad decided it wasn’t something he wanted to do but that didn’t stop me! 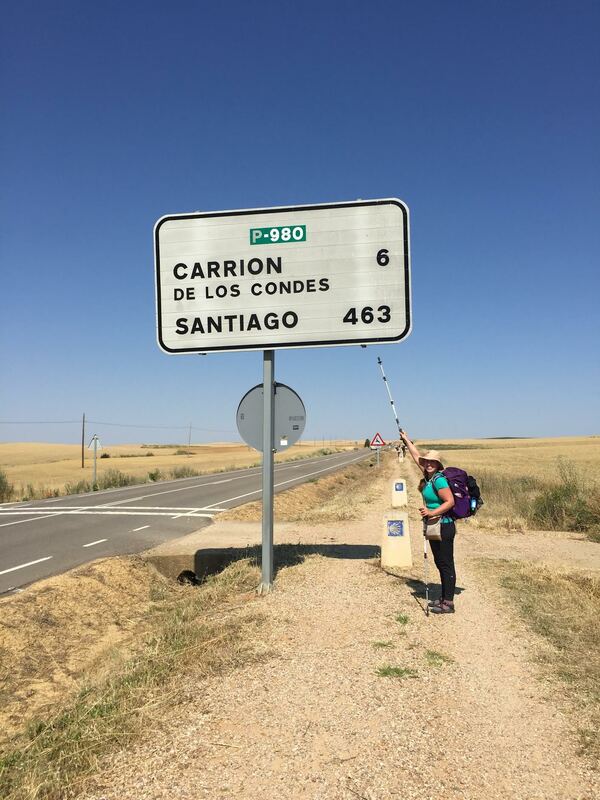 I have been doing summer hike vacations for the last few years and knew that this Camino business was something right up my alley that would be uncomfortable, life-changing, adventure-filled and an experience I’d cherish. I thrive off of challenging myself, giving myself goals and attempting to accomplish those goals. I also love traveling and experiencing new places around the world. 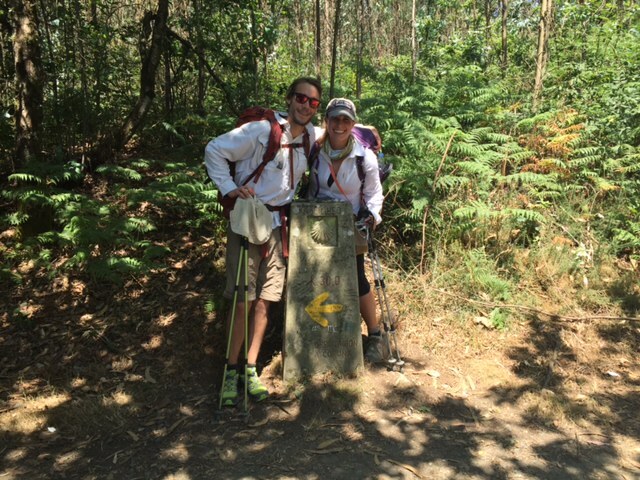 The challenge (physically, mentally and emotionally) and experience the Camino offered was something I couldn’t pass up! -What are some of the things you learned from the hike? 2) Enjoy and savor each moment. – I’m a very busy, fast-paced person and many times I get consumed with what is next on my daily planner or what the next best thing or opportunity may be instead of enjoying the present moment I am in and cherishing the place, time, people and experience I am having. 3) You need a lot less than you think you need to live a happy, joyful and fulfilling life. Worrying and having anxiety about your needs and wants being met only takes away time and opportunity to have joyful moments even in adverse conditions. – There is a saying on the Camino, “The Camino gives you what you need, not what you want.” I’m someone who very easily makes my wants and comforts seem like immediate needs in my life. Hiking the Camino had many adverse, uncomfortable, and unpredictable situations and experiences. While hiking, I also experienced many joyful, fun, happy and fulfilling moments. 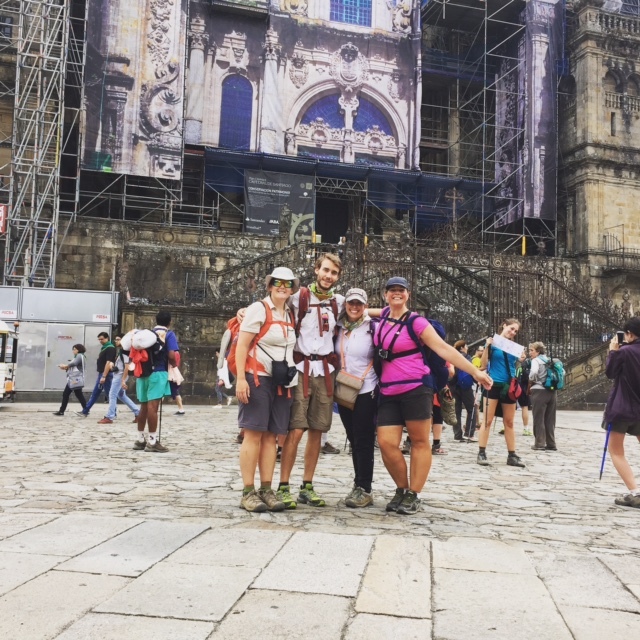 The Camino taught me to sit back and realize that anxiety and worry about getting bedbugs, sickness, injuries or other “adverse” situations limits me from fully experiencing each moment even the adverse ones because they create stories, experiences and learning opportunities. In Matthew 6 it says, “..do not worry about tomorrow, for tomorrow will worry about itself. Each day has enough trouble of its own.” The Camino taught me that each day brings exactly what you need when you have faith and trust in God’s plan and purpose for your life. Even though some days may not go as you want, you are only limiting yourself from not enjoying the day you have been given: even the good, joyful, unfortunate and uncomfortable times. -What was the hardest part of the hike/trip? The hardest part was getting over my fears in the beginning of the trip. The initial questions of “Can I really do this for 30 days?” and “Will my body and mind hold up for 30 days?” all raced through my head and at times paralyzed me at first from walking into new experiences joyfully and with an open mind. I had a million fears, insecurities, worries and doubts going through my head the first few days on the trail. From wondering if I was physically capable to completing the hike to fear of not knowing where I would sleep the next night to sickness and injury, there was so much uncertainty and unknown that I desired to control….but I couldn’t control any of it. In Nashville, I am able to manipulate my life to a certain extent so that it is comfortable, known and planned out. My close friends are laughing as they read this because they know how crazy I get when unknown and uncertainty knock at my doorstep. But on the Camino, all of those comforts and knowns were stripped away. After a series of unfortunate events the first few days (flights cancelled, sickness, uncomfortable hostels…), I realized that if I didn’t face the fears I had and mentally choose to be positive and live in the moment, I would miss out on so many rich experiences and learning opportunities. One of the friends I made along the way told me “Don’t fear your fears because your fears fear God.” This mentality really helped me see how self-destructive fears are and how much they limit you from experiencing what the Lord has in front of you to experience, grow from and live through. -Where was your favorite place that you visited and why? Now that is a surprisingly loaded question! It is so hard to choose one place after visiting 30 different small and big towns and villages throughout France and Spain. I think my favorite places were the places I have fond memories with the people I walked with along the way. The small villages we stayed in through the Meseta were memorable. Between Burgos and Leon, for about 9 days of walking, you walk through the Meseta, which is the Spanish version of a wheat desert – desolate, no shade, little water and few signs of life. You would walk for kilometers on end, thinking that you were on the path to nowhere and would be stuck sleeping in the desert with no shelter, and all of a sudden a village with a population of 20 would appear out of nowhere. The quaintness of those villages was so unique that even though typically the food was subpar and the accommodations lacking, the excitement and adventure of bonding with the pilgrims around you made the places really enjoyable. -How do you prepare for the trip both physically and mentally? 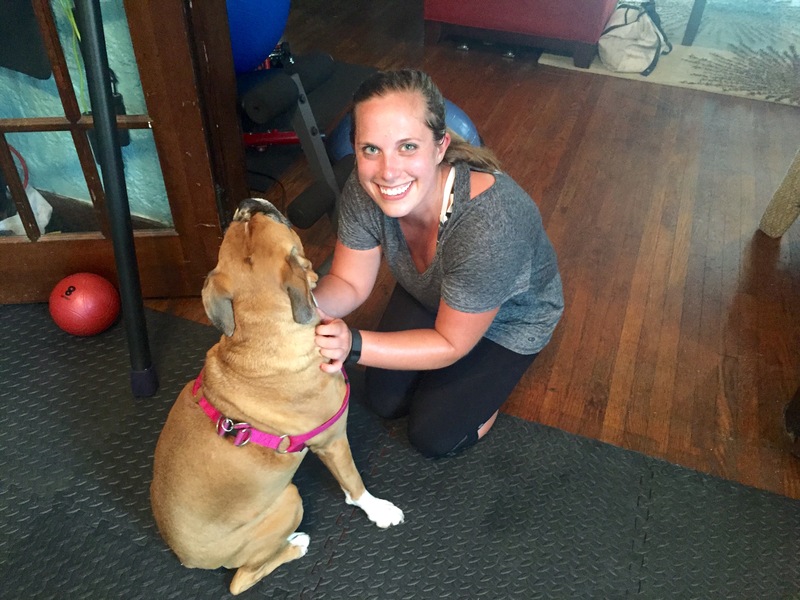 Physically – I prepared for the trip by working out daily, going on a few long hikes to break in my shoes and get used to longer walks and then working out 2 times a week with Megan to work on endurance and building strength in my back and arms to help me with carrying my backpack. Mentally – Part of my goal and hope for the trip was for spiritual rejuvenation. I’m a Christian and before the trip I had been in a season of lacking the passion and fervor of faith that I desired to have. That in mind, I really prayed a lot before the trip that the Lord would use my time on the Camino to teach me more about Him, restore the joy of His salvation into my heart and to learn to love myself better. Another mental component to the trip was preparing myself to live out of a 15- pound backpack for 30+ days. It was an interesting and unexpected mental hurdle to pack and see how little I was bringing with me but reassuring myself that the things in my backpack were all I needed and if I didn’t have what I needed, I would get it somehow. It’s interesting to see how little you actually need to live and how quickly you become comfortable with the little you have. 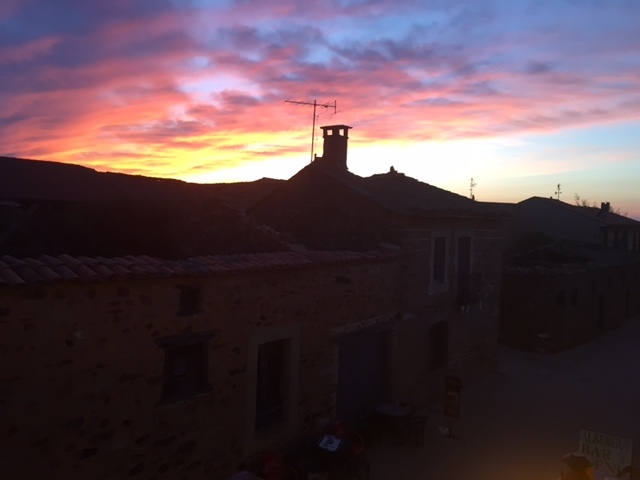 I live in a world of instant gratification and indulgence and that was definitely tested on the Camino and gave me a good reality check to reassess what is truly important in my life and what I actually need in my life to be happy, content and satisfied. – Now that you accomplished this – what are your goals looking forward? I had new goals before I even left! I’m a goal driven individual and a dreamer especially when it comes to traveling. I think immediate goals for myself are to slow down, savor the moment and to continue to love myself consistently. As many women are, I am brutal to myself when it comes to self-image, body, weight and beauty. The Camino really taught me that as cliché as it sounds beauty comes from the inside and reflects outwards. I never had a time in my life where I felt as beautiful and confident as I did on the Camino and the days after it. I felt strong, confident, radiant, known, loved and beautiful. Ironically, I was also without any make-up, wearing the same two shirts and one pair of pants for thirty days, and not in control of what I was eating and how healthy the food was. My lack of self-consciousness was a freedom I’ve had very few times in my life. My love for self and freedom to be my true self – body, heart and soul was freeing and liberating. I want to live that way here in Nashville. I also realized how much more available I was to love and care for others when I believed in myself and loved myself fully without picking out all of my failures, short-comings and flaws. Hopefully I can bring that mentality back into my daily life in Nashville and start loving myself more. So I guess that’s a BIG goal for me! My other goals include going to all 7 continents by the time I’m 30, hiking Kilimanjaro, and maintaining/improving the physical shape that I’m in. -What would you tell others thinking about taking on some kind of huge goal such as this? What words of encouragement can you give based on your training for this and the journey itself? Just go for it! You are only depriving yourself of an adventure and learning experience by not committing to a goal and going for it. It’s ok if you don’t fully reach the goal or have failures along the way but the journey that you embark upon and experience along the way is priceless and something that helps define and shape you as a person. Thank you Liz for being a client and for constantly inspiring me with your positive attitude and love for life!! What an absolutely amazing goal, accomplishment & attitude toward life! Unbelievably inspirational!!! !